Betsy considers herself a native Washingtonian, having moved to the area at age 8. She grew up in Potomac in Montgomery County and graduated from Georgetown Day School in Northwest Washington. Her high school activities and friends were scattered throughout the Metropolitan area, and she developed a keen sense of direction and knowledge of area neighborhoods at a young age. Betsy loves real estate and it shows! She specializes in the listing and selling of residential properties in Montgomery County, Maryland, and Washington, D.C. With 18 years of combined experience in residential real estate, real estate law and commercial real estate, Betsy has helped hundreds of clients achieve their real estate goals. Betsy joined her mother Marsha Schuman at Washington Fine Properties in 2009, and together they formed The Schuman Team. Betsy leaves no stone unturned when it comes to her clients. She has a vast network of agent relationships and great social media clout. If the house you are looking for isn't on the market ... Betsy will find it! Betsy loves working with buyers. 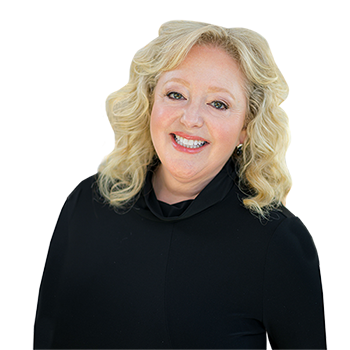 Whether they are first-time homebuyers, relocating from out of the area or move-up/down buyers, Betsy is passionate about real estate and takes great pride assisting her clients through the entire real estate process. Most recently, Betsy has developed a niche working with families relocating to the area. It takes time and attention to introduce a family to the area, and Betsy has mastered it well. She can advise her relocation clients not only on real estate matters but the best places to dine, shop, visit and worship. We cannot express in words how highly we recommend Betsy as your agent. We fell in love with her as we were going to open houses. Not only is she very educated about homes in the area and real estate dos and don'ts, she is charming and fun to be with. She quickly understood what we were looking for and aggressively pursued options both on and off the market, giving us advice and access to resources to make a decision and purchase we would be happy with for many years to come. We've dealt with many real estate agents in the past, and Betsy was absolutely the best we've encountered. She always made herself available for whatever we needed, whenever we needed it. To say she goes the extra mile is an understatement. We strongly recommend using Betsy to buy or sell. She is tremendously talented and extremely knowledgeable. We've enjoyed our search for a new home and have appreciated having the new friend in our life.